It’s easy to be discouraged these days. Every day, critical habitats are fragmented, communities are shattered by conflict, and essential natural resources are squandered. But remember what Mr. Rodgers said about bleak world news: “Look at the helpers.” Helpers are everywhere—especially in the Sustainable World Community (SWC). That community works tirelessly to fix the 17 major problems that threaten global sustainability. 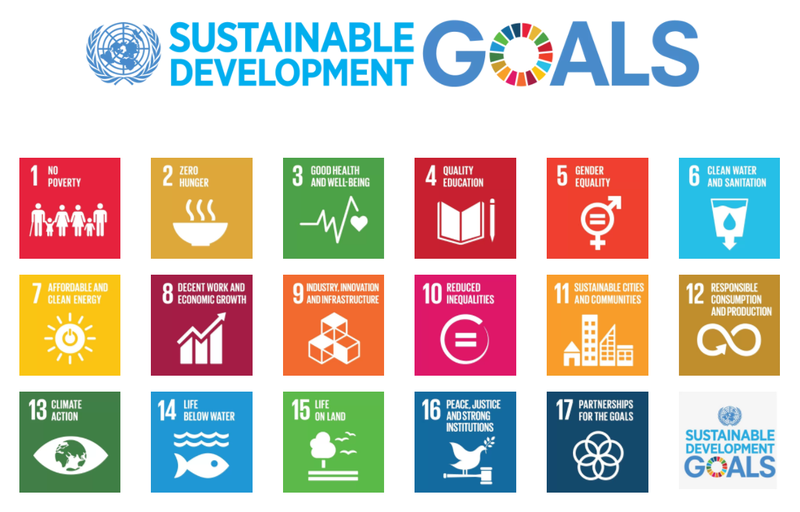 In 2015, members of the United Nations (UN) committed to end poverty, protect the planet, and ensure prosperity by agreeing to a ratified list of objectives called Sustainable Development Goals (SDGs). SDGs include specific targets that can easily be hit within the next 15 years with the coordination of the SWC. From Tuesday through Thursday at the 2017 Esri UC, members of the community will show exactly what they’re doing in the Sustainable World Community showcase. The showcase is an opportunity to prove that geospatial science is helping. We’re deeply committed to supporting organizations that use GIS as the launching point to fulfill the UN’s mission. Despite their diversity, all 36 members of the SWC share a common goal to meet the challenges inherent in the SDGs. But because the Sustainable World Community consists of a wide spectrum of organizations that work across multiple topics, it’s good to know who does what for which goal. Goal 1, No Poverty, for instance, includes the Bill & Melinda Gates Foundation and the W.K. Kellogg Foundation. Participants working on goal 2, No Hunger include Catholic Relief Services and the Consultative Group for International Agricultural Research. Organizations working toward goal 16, Peace and Justice Strong Institutions include Geneva International Center for Humanitarian Demining and Halo Trust. Of special importance are the organizations that provide subject matter expertise and guidance across many partner organizations. The organizations working on goal 17, Partnerships for the Goals include Development Gateway, International Joint Commission of the US and Canada, National Geographic Society, National Tribal Geospatial Support Center, Org Hunter, and URISA GISCorps. Please join us at the Sustainable World Community Showcase during the Esri User Conference to see how our customers radiate help across the globe. Visit the Esri demonstration tower to meet the helpers and see The Science of Where in action.